The third millennium is a period that has in essence just begun, but already been defined by progression, brought on by never before seen innovation and experimentation. 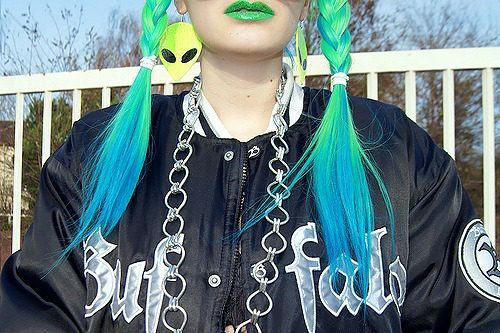 This new era in human history has bore witness to the emergence of hundreds upon hundreds of unique trends and styles, including the development of strong subcultures such as seapunk. The style originated in 2011 as a trend on micro-blogging platform Tumblr. The music is an edgy mix of modern day electronic music, with heavy influence's from the 90s. This crossover continues into the fashion, which is generally composed of aquatic colors such as various shades of blue ad green, and contains many symbols prominent during the 90s such as yin and yang symbols and smiley faces. Looking up the tag “seapunk” on Tumblr will bring forth thousands of images that showcase the heart and soul of the style. 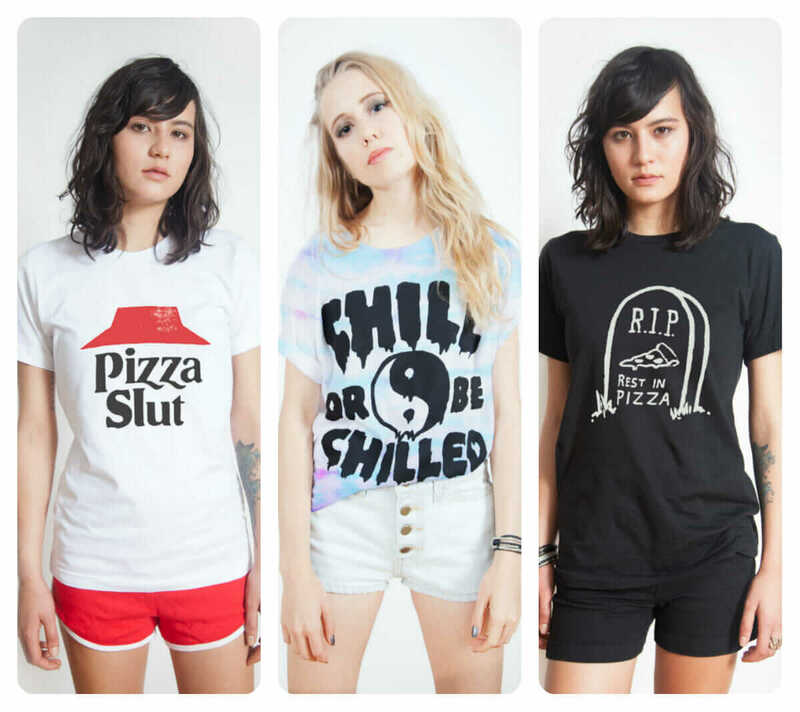 They're oftentimes included with other tags such as “pastel goth” and “soft grunge”. If you've seen the girls with the brightly colored hair, bold patterned leggings and have found yourself wanting to know how you could start to dress the same, here are the basics of any seapunk founded wardrobe. 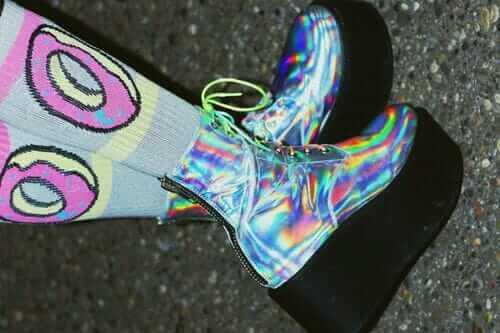 These are one of the most popular designs featured in seapunk outfits, and they tend to be favored for bottoms. The benefit of holographic skirts or leggings are that they're statement pieces, which means that you can pair them with a chunky black sweater in the winter, tank or v-neck in the warmer months and your favorite pair of boots and have a rad outfit in a matter of minutes. The prominent colors in the seapunk color scheme are, obviously, aquatic. The glory about the world of fashion is that there are dozens of shades of blue and green, from bright and bold neon jeans to more subtle, turquoise and mint colored shoes and tops. For starters, try and find some solid colored sweaters in a shade reminiscent of the ocean tides, and pair them with a darker shade on the bottom. You want to be complimentary with your colors, not completely matched. Bold contrast is another style approach, but make sure that the pieces and colors in question stand out but don't make you look like you got dressed in the dark. The electro-wave vibe of the dyed clothes that have been sweeping across the fashion world and popping up in your favorite stores like Forever 21 and H&M during the summer are probably the easiest to integrate way to infuse your current closet with some seapunk flare. Tie dye skinny jeans in blue or green make your pants reminiscent of ocean waves, and they can be paired with a shirt in the same style but a different, more subtle color. It's a bit of the grunge style popular in the 90s mixed with the chic and daring style of today, which makes it an excellent choice for any budding seapunk fashionista. 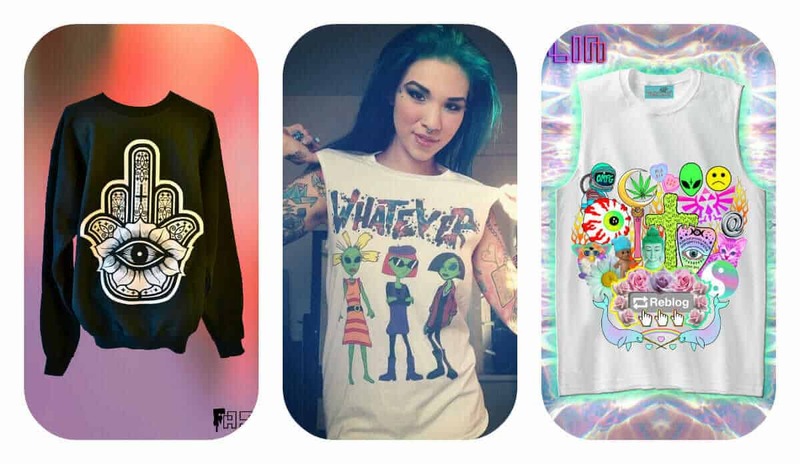 Home Cooked Karma not only has Seapunk outfits, but also have a large collection of grunge outfits..
Psychic Trash‘s Tees collection are full of pop culture references and ironic phrases. We really dig it! Forever strange, as its name indicated, is full of psychedelic shirts and sweater with very unique designs. Bionic Unicorn has a set of collars and necklaces undersea themed. Great to combine with Seapunk outfits! SpaceTrash‘s collection includes pizza collars, holographic pins and much more! Very trippy! So that's a few stores that we can recommend. We will post more as soon as we find. If you are looking for more, we suggest you to click on the image below. Happy hunting! 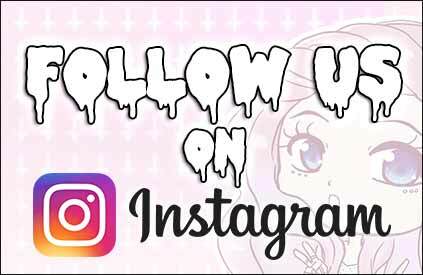 This entry was posted in Accessories, Alternative, Fashion, Hair Styles, Indie, Outfit Ideas and tagged accessories, alternative, clothing, fashion, holographic, punk, seapunk, style, tumblr. 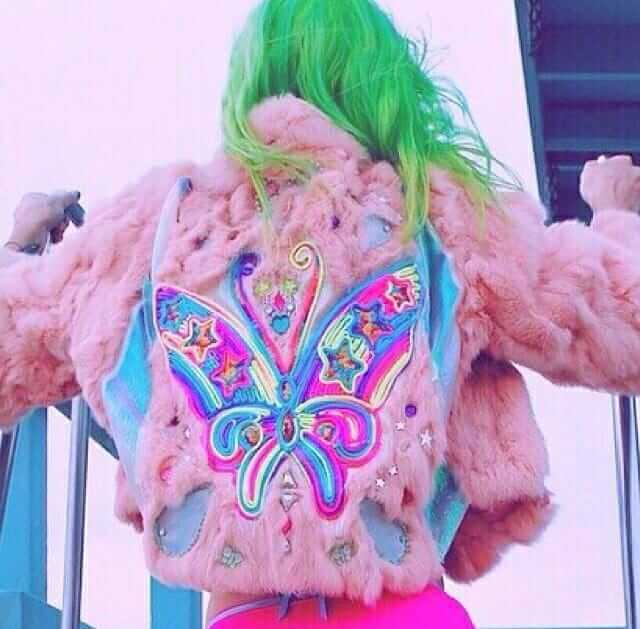 How is seapunk different from pastel goth? The article does seem to fail to mention what really defines seapunk fashion, which is an ocean-inspired aesthetic. 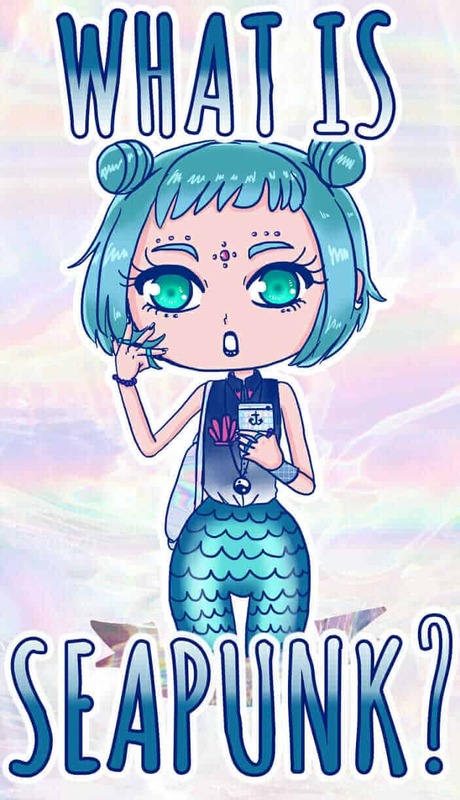 While pastel goth is mostly pastel colors, grunge/alternative clothing and accessories, and has a bit of a “kawaii” feel to it, seapunk is, in essence, mermaid/ocean inspired. Lots of pastels and pearlescent/holographic stuff, scale prints, seashells, pearls and dolphins, anything that gives off an “undersea fantasy” feel.